Welcome to J&A Insurance Agency, Inc. – The Best Local Independent Insurance Agency in Cobb County! ...Your Trusted Advisor for Auto, Homeowners, Life, Business Insurance. J&A Insurance Agency, Inc. is a local family owned Independent Insurance Agency, serving the greater Atlanta (North Fulton and Dekalb County), Marietta (Cobb County), Smyrna (Cobb County), Hiram, Dallas (Paulding County), Douglasville (Douglas County), Kennesaw (Cobb County), Powder Springs, Acworth, Woodstock (Cherokee County), Roswell, Alpharetta, Sandy Springs and Dunwoody areas. As an independent insurance broker we represent several insurance carriers and are free to choose the insurance company that best matches your given situation. We do not work for any particular insurance company, but instead represent you, our client. 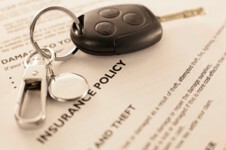 Whether your insurance needs include Georgia Homeowners Insurance, Georgia Auto insurance, Georgia Business Insurance, or Georgia Life insurance coverage, we at J&A have a plan for you. Our goal is to provide you and your family, or your small business with professional insurance advice and coverage placement after evaluating your particular insurance coverage needs. At the end of the day our goal is to ultimately deliver a customer service experience that is very hard to find elsewhere in the marketplace. We are an independent agency with you, our customer in mind. We have relationships with many leading insurance carriers and alternative insurance markets, allowing us to deliver the coverage you need at competitive pricing and outstanding customer service to match. Whether you have the ideal underwriting profile that preferred companies desire, or a not so perfect underwriting profile, very often we still have the ability to place your coverage with a quality insurance carrier at pricing that you can afford. If you are a current J&A client please follow the links to the left to find the online customer service support form that matches your current policyholder service need, or simply click on one of the links shown directly below this paragraph. If you are new to J&A and are seeking new coverage for your family or business please go to the "APPLY ONLINE" link shown above on this page to make an initial inquiry and we will respond promptly.